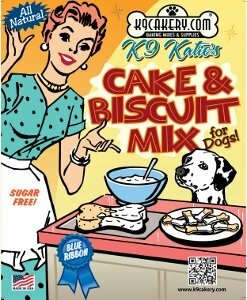 I used K9katie biscuit mix and the magifrost. i made dog holiday treat cookies for Christmas. They turned out really good, I sent them in a package to my sister in california and she said they looked really good. I want to make more and maybe go into business. can i do this on facebook? Thank you for sharing your story! Do you have photos or pictures of your treats? We would love to show our readers. You can use Facebook to show off your business. 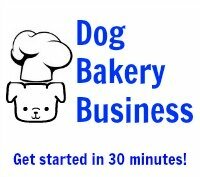 If you are serious about starting a dog bakery business, it would be best to get in touch with your state feed control department to find out about the regulations you will need to follow and wheat licenses you may need.